Very creative B & W.
Spooky subject made spookier by the color tone. Nice detail and contrast. 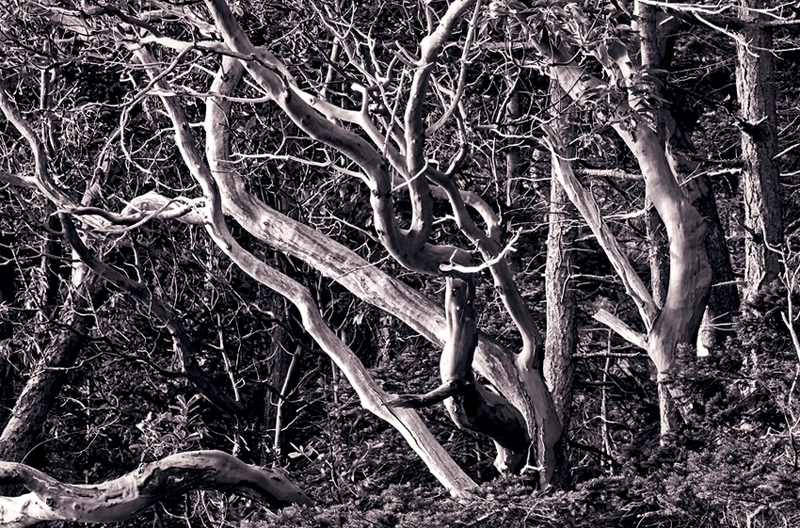 Interesting mix of trees and branches…the black and white really brings out the detail. Nice shot! Nice b/w contrasts and structure. I like pictures like these…it’s like looking at marble/patterned flooring; if you look long enough you can see patterns or faces. Then the whole picture becomes alive. Reminds me of the talking trees in Lord of the Rings. Tremendous range of values… and pattern! Beautiful!